Kauai's selection of comfortable B&Bs and inns provides the perfect balance of charm, convenience, and personalized service- just what you need to authentically experience The Garden Isle. Looking for a serene and rural location to relax? How about beautiful oceanside views as you savor a thoughtfully-prepared breakfast? Perhaps a lush garden cottage for a romantic getaway? However you choose to experience Kauai, you'll surely find the perfect Kauai Bed and Breakfast from Hawaii Guide's hand-picked selection of lovely Kauai Accommodations. Our featured Kauai B&Bs and inns are those which we feel stand out in some way. For example, they may provide a gorgeous location, superior amenities and luxury, exceptional value, or a unique experience. See what has earned these accommodations a place in the spotlight. Wondering which region of Kauai to visit? Check out the pros and cons of each area here. 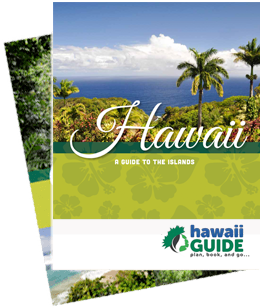 You'll also find a guide to a whole host of lovely B&Bs across the island, as well as other helpful Kauai travel information.